Join Ecosource for a free hands-on workshop about garden-related activities for older adults. Be inspired by garden program ideas for both the indoors and outdoors. 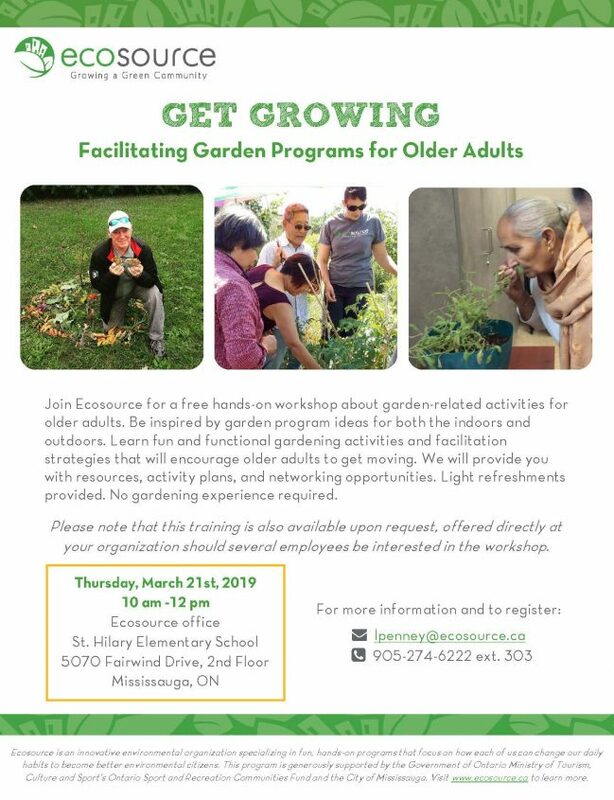 Learn fun and functional gardening activities and facilitation strategies that will encourage older adults to get moving. We will provide you with resources, activity plans, and networking opportunities. Light refreshments provided. No gardening experience required. Please note that this training is also available upon request, offered directly at your organization should several employees be interested in the workshop. For more information and to register, email lpenney@ecosource.ca or call 905-274-6222 ext. 303.